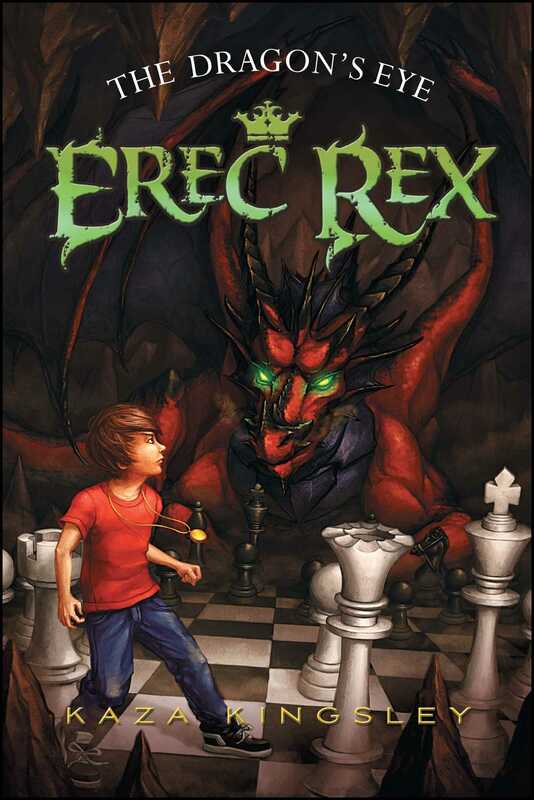 Life is not easy for twelve-year-old Erec Rex. His single mother can barely support her six adopted kids. And they've moved into an apartment so tiny that Erec sleeps with the washing machine. Worse, there is a strange force within Erec that is making him do odd things. His urge to obey these thoughts grows -- until it becomes impossible to resist them. Then one morning, Erec's mother is missing. The force inside Erec commands him to find her, leading him on an adventure that will change him forever. When he arrives in Alypium, a hidden world where old knowledge of magic is kept, Erec learns that his mother and the entire kingdom are in peril. And he might be the only one who can save them. IT WAS EARLY, far too early to wake up in the summer, when Erec Ulysses Rex’s alarm clock went off. The thing paced on its tiny metal legs until it could not stand to wait anymore. Then it kicked a marble that hit Erec right in the cheek, just below his glass eye. Erec rubbed his face and moaned. He opened his good eye. His alarm clock was doing a kind of end-zone dance. It pirouetted toward a pen and booted it expertly into Erec’s ear. Erec groaned. The obnoxious thing would pounce on him if he didn’t get up fast. He could always throw it across the room, but it would only find its way back. And then tomorrow it would wake him even earlier. “Leave me alone. I told you I can sleep late. It’s summer.” As Erec pried his head from his pillow, something grabbed his mouth. It was his toothbrush, another annoying gift from his mother. It shook its brush head over Erec’s teeth, gripping his lips with its thin arms and legs. Erec almost choked. He yanked the toothbrush from his mouth, threw it on the floor, and watched it run from the room. Last night Erec had jammed the alarm clock in the back of a bathroom cabinet. He wondered if the toothbrush had helped it escape. Long ago, when they could afford such things, his mother had ordered these strange, lifelike objects from some store named Vulcan. As he grew up, he became used to these creatures and thought of them almost as pets. But his mother insisted on hiding them from visitors, who if they saw them might think they had completely gone crazy. It was the start of another bad day, in a bad week, in what Erec thought was a very bad year. His large family kept moving to smaller and smaller places, and growing poorer and poorer. In fact, they had moved nine times this year alone. That left hardly enough time to make friends, let alone say good-bye when he moved again. A few days ago, twelve-year-old Erec, his siblings, pets, and their adoptive mother, June O’Hara, moved into what the landlord called a “very modest apartment” in New York City. “Of course,” he added, “legally, this is too small for you all to live here.” Erec thought the landlord was being generous in his description. Rather than crowding on the couch with his brothers, Erec slept in a small closet with the washing machine. He hoped his mother didn’t find more strays—for that’s what they all were. All of the children in Erec’s family were . . . well, unique. Erec had a glass eye (which was really a sort of plastic). Eleven-year-old Nell needed a walker. Trevor, nine, rarely spoke. The thirteen-year-old twins, Danny and Sammy, were found alone and abandoned. And four-year-old Zoey could be more than a little wild. Erec’s cloudy thoughts left him dizzy and hazy, like polluted clouds were spinning through his brain. They made his stomach leap into his throat and threaten to hold a Boston Tea Party, dumping its contents out while singing a war chant. But worst of all, once a cloudy thought popped into his head, it was like an order. It would grab him like a sumo wrestler, terrifying him until he followed its command. He felt like a puppet, out of control. No matter how hard he fought, he had to obey. So far the odd things he was ordered to do were good, like putting pillows at the bottom of the stairs moments before Zoey crashed down, or grabbing her before she ran in front of a car. He was glad to help, of course, but mostly felt like an unpaid, nauseated babysitter. And a freak. It was like coming down with an extremely annoying combination of ESP and the stomach flu. But, worse, he was haunted by a fear: What if someday he was commanded to do something terrible? Erec had not slept well. A loud click had woken him in the middle of the night. He’d figured it was probably a new apartment sound. His stomach had churned for a bit, but, luckily, he’d fallen back to sleep. He combed the front, straight part of his dark hair, not bothering with the tangled curls in back, and stepped over his sleeping dogs, Tutt and King. The coat rack, another of his mother’s purchases from Vulcan, nearly bumped into him as he stumbled by in the hallway. It tried to get attention, tap dancing on the carpet, flapping its wooden arms. Erec waved it away. “Yeah, right.” Danny munched more cereal. “What are you talking about?” Erec asked. “That.” Sammy pointed at an immense woman overflowing a plastic folding chair by the front door. She did look like a clown. Unnatural white powder coated her face. Her orblike cheeks were decorated with bright red circles of makeup like great balls of fire. Her nose bulged, and thick blue war paint surrounded her slitlike eyes. Slick black hair clung to her wide face, coming to a point at her first chin. A small wedge of bangs in the middle of her forehead made her already heart-shaped face look like an ill-conceived valentine. “Another admirer. Clowning around.” Danny batted his eyes and fanned himself with his hand. “Shut up.” A grin took over Sammy’s face. Sammy giggled, the morning’s bad start forgotten. Erec took a handful of miniature flying counts. His mother had to work several jobs to support them all, he knew that. But it felt like he never saw her anymore. The toaster, another Vulcan special, shot two pieces of burnt toast at Erec’s chest. He caught them, looked them over, and put them on the counter. “I’m sick of toast.” The toaster puffed smoke and plopped on the counter. Suddenly the room started spinning. Erec grabbed the counter and took a deep breath to steady himself. His stomach twisted and did somersaults like an acrobat. In the distance, it sounded like Sammy was asking if he was all right. Fear filled his chest. It was happening again. He would be ordered to do something, yet he would fight it with every ounce of his being because it made him feel so terrified and out of control. Then the cloudy thought commanded him: Go find your mother. Outside the east entrance of Grand Central Station. The hot-dog stand. She would not be there, he somehow knew, but he had to go there to find her. She was not hurt but lost. Erec dropped into a chair and crossed his arms. The dizzy feeling was gone, leaving him gagging. This was ridiculous. His mom was fine. Now he had to run across town because she got lost on the way to a job interview? No way. He was staying right here. His mom could buy a map. It was bad enough having to help little Zoey. This was not fair. Erec grabbed his seat, fighting his body’s urge to run to Grand Central Station. His feet danced around him, and his legs shot under the table, trying to push him up. Erec nodded. He gripped the chair, fighting the urge to stand, until his hands ached. He had to give in. He would not rest until he followed the command. “I gotta get out of here,” he said. “I have to find Mom.” He got up. Erec wished he could forget. It was bad enough to be forced to do things for other people, let alone every animal around. Was he servant to the universe? He ran without thinking through his sisters’ room, into the closet where his mother slept, and picked up a picture of his mother holding Zoey. So this cloudy thought involved taking a picture of his mother to a hot-dog stand where she was not going to be in order to find her. Erec shook his head and shoved the picture in his pocket. The babysitter nodded with a thin-lipped smile. “Good man,” she croaked. Red-haired Trevor snoozed, oblivious, on the couch. Erec’s toes were tapping, ready to run. “I’ll be back soon.” As he reached for the door, though, the clown-woman flicked an umbrella from under her chair and whacked the knob. Erec jerked his hand away just in time. “I’m sorry.” He reached for the doorknob again, and as he did the umbrella rose in the air. His hand dropped. Just then the coat rack sauntered into the room juggling three hats. Erec held his breath, waiting for the sitter to scream. He should have thrown the coat rack in the closet. The sitter’s beady eyes, swimming in blue makeup, coolly stared at the coat rack without a trace of surprise. The coat rack seemed offended and threw a fourth hat into the air, as if to get more attention. “I have to go. We’re out of food.” Erec touched the knob just before the umbrella smacked it, this time grazing his fingers. “No OUT!” rang like a jackhammer from her lips, and then a bland smile took over her face. “But there’s no food.” The cloudy thought gripped him and his knees knocked. The babysitter shrugged. “I don’t think you’ll starve to death.” Her eyes narrowed to slits. She sucked her puffy cheeks in as if she was trying not to laugh. Erec flew into the kitchen, where the twins sat gawking. “Look.” Sammy pointed. Mrs. Smith angrily swatted her face while Zoey, by her feet, chewed and stuffed paper into a pen shell. A spitball sailed into Mrs. Smith’s puffy nose. She tried to kick Zoey without getting up from her chair, but Zoey rolled away, laughing. Danny and Sammy giggled. Zoey steadied herself and blew a spitball into Mrs. Smith’s open mouth. Mrs. Smith spat into her hand. She tried again to kick Zoey, but missed. “She’s such a mom,” said Danny. “And you’re such a pest,” said Erec. The drive to leave was so overwhelming, Erec could hardly breathe. The sitter filed her nails. “Mrs. Smith! We need you.” Sammy sounded desperate. “Is she really,” the sitter said in a gravelly voice. It sounded more like a statement than a question. She hummed quietly and filed the nails on her other hand. Zoey left the bathroom, obviously needing no help, trailing a long stream of toilet paper. When Erec looked into the bathroom, his breath left him. It was as if he had been plunged into ice water. His mother’s glasses sat on the bathroom counter. The thick black frames were held by a thin, silky chain. His mother never went anywhere without those glasses hanging around her neck, although she rarely used them. In fact, Erec had never seen them off her. She even slept with them, and he often wondered how she kept from crushing them. It was true. The only times Erec saw his mother actually put the glasses on her face was when she was alone and thinking. She would stare into space. Afterward, her eyes would be red. When Erec asked why, she would say they made her eyes water. He looped them around his own neck, sure she would want them when he found her. Danny tried to pull them off for fun, but the chain caught. “I have to get out of here.” Erec looked around, breathing fast. Mrs. Smith shot from her chair like a coyote after a roadrunner into Danny’s room. Her thick, stubby legs and long feet flew over the beige carpet. Trevor snored on the couch, gripping his action figures of Franklin Stein, the Super A springball team guardian, and a Cyclops. Erec was sure they were duking it out in Trevor’s dreams. He darted down the stairs and ran three blocks before he dared look over his shoulder. There was no sign of the babysitter chasing him. Little did he know that he had taken only the first few steps of a very long journey. 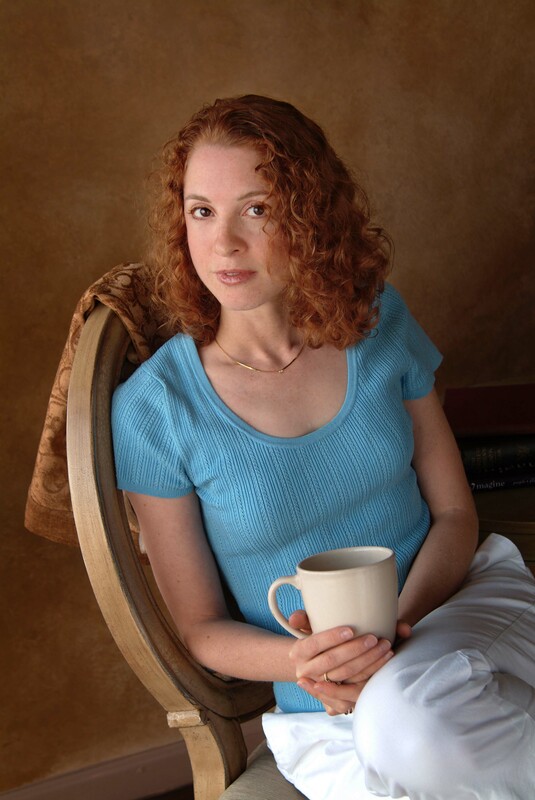 Kaza Kingsley is a writer, artist, and singer who loves travel and adventure, especially in dangerous and mystical realms. Kaza is also a movie buff and reads constantly when she’s not writing books. When she is not off exploring, she can be found in Cincinnati with her loving family...although she may be dreaming of the stars.